We’ve gone on day trips, overnights and treks up the coast. This trip included our first plane ride and travel to another state. From California to Arizona we went! My son had been on an airplane a couple of times before but was too young to remember. Traveling with two little ones was a bit of a different story though. All in all they handled the planes, trains and automobiles quite well. We rode a train for fun! Since I am fresh off the trip as of this writing, I thought I’d share my top tips for traveling with kids. It will happen at the worst time and did for us as we stood in line ready to board the plane thanks to our baby girl. I made a mad dash to the bathroom to change my little one before boarding the plane. They even called my name over the speaker to tell me to “Hurry Up!” I ran to the airport gate laughing and stating “She dropped a bomb.” Poor choice of words. Not good Steph. Not good in an airport! Heading to unknown places? The best purchase I made prior to leaving was a box of 10 pads to lay underneath the baby when she was changed at random diaper stations. If you are traveling with one in diapers, the pads are a great way to add a layer between your baby and the public changer. We also practiced stand-up changing, too. 3) Snacks, snacks and more snacks! After the first day or so, we got the snack bag drill down. Instead of constant drive-thru food, which can be unhealthy and expensive, pack lots of snacks for the day. Just remember, airport security does not like it when you have drink boxes in the diaper bag. Another lesson learned on the way home! Traveling with kids can be stressful. They are out of the routine and so are you. Each kid had a few meltdowns for various reasons and so did I! No tears from me, but I definitely had those moments when I needed a break and felt more stressed out than vacationed-out! The first night we all went to bed super late. From then on it was late nights for the all of us. The schedule was pretty off yet after the first night home, both kiddos got back in the swing of things pretty quick. How cute is it when your little ones sing?! A few tunes will help the miles pass if you are in the car for a while. Our son learned word spelling while singing to our girl. It was the cutest! They laughed, learned and even bonded during the road trip part of the vacation. We were visiting family and traveling with family. Lots of family around should mean a couple hours away, shouldn’t it? If you can fit in some time away with your spouse, I’d grab that time and run. We were able to squeeze in a bit of time for dinner one night, so we gladly took it. Is a 5 year-old ever NOT bored? Don’t feel bad when you hear the “I’m bored” chant. I had a few moments of guilt creep in thinking he needed more entertainment while we were on vacation. I got over it once I heard those words close to a hundred times! It doesn’t have to be a detailed minute-by-minute outline of the day. A general plan for the day will help the antsy little ones or the “I’m bored” drone get in check. Each night we tossed around ideas of what we’d do the next day and then set a time to get out the door by. When the routine is shot, the general plan for the day really helps. 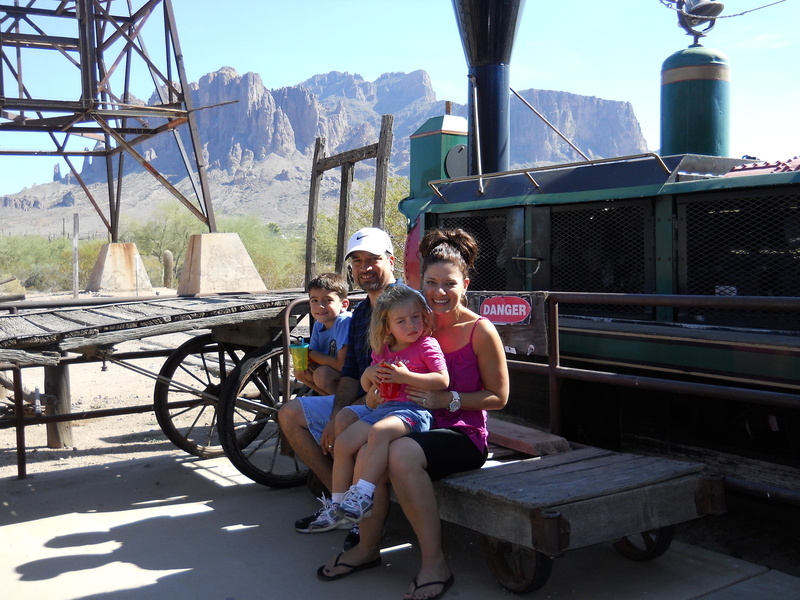 From the plane ride, to a train ride, we had many family moments that were fun-filled. I caught a hilarious video of the kids dancing one day at a restaurant. They bonded during the car rides with singing and we laughed together in spite of the stresses that popped up during the trip. While I do believe that “family” and “vacation” (when the kids are so young) is an oxymoron, the memories, videos and pictures we captured will last our lifetime. We had some fun moments I’ll always cherish. Do you have your own tips to share? Feel free to post them below! Thank you Stacey! Flexibility is so important. I’m glad you mentioned that and your point that it’s about getting away with your family. Relaxing for us this go around was a bit tough yet, we had great moments and many laughs. We just watched one of the videos last night and all of us were laughing 🙂 Very fun!